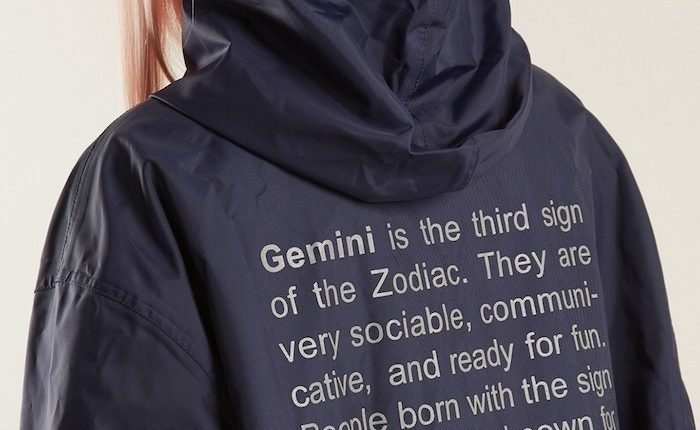 It’s not just cool AF t-shirts that help you express your Star Sign Style (although, yes, Vetements has those too – scroll down to see). 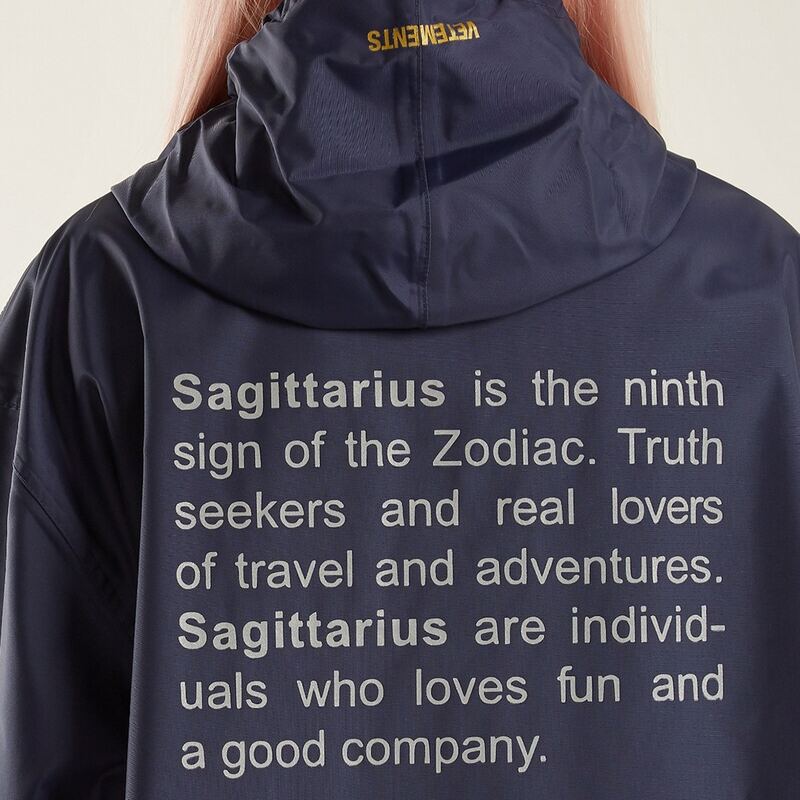 What’s way more edgy and never been done before (as far as Star Sign Style is aware), is these high-fashion Horoscope Raincoats – awesome for Stargazers stepping out in the city drizzle. 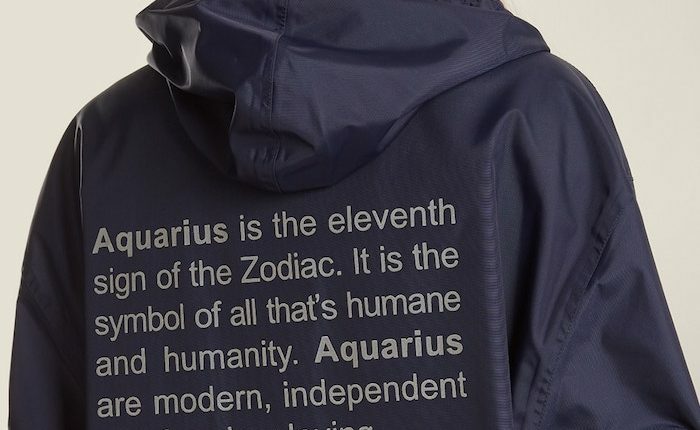 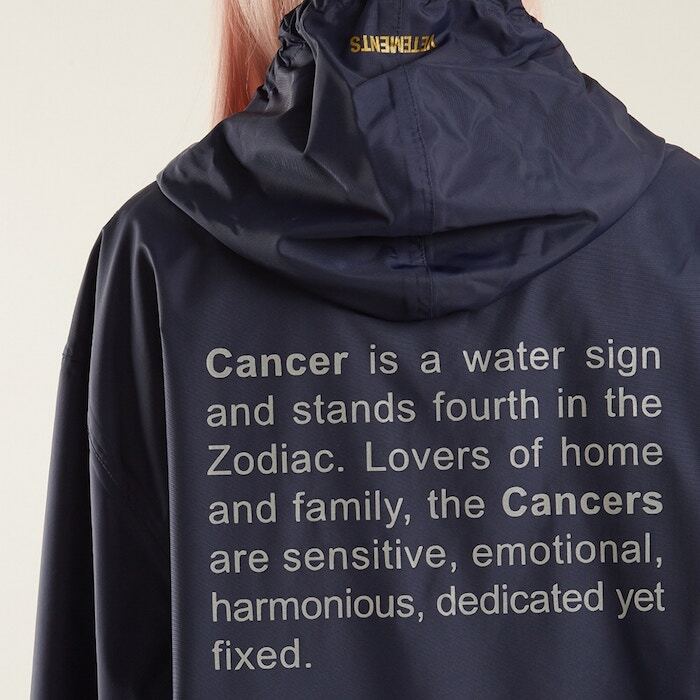 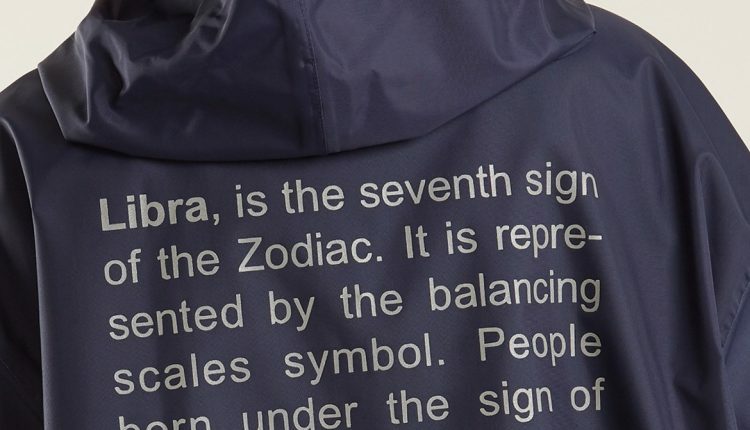 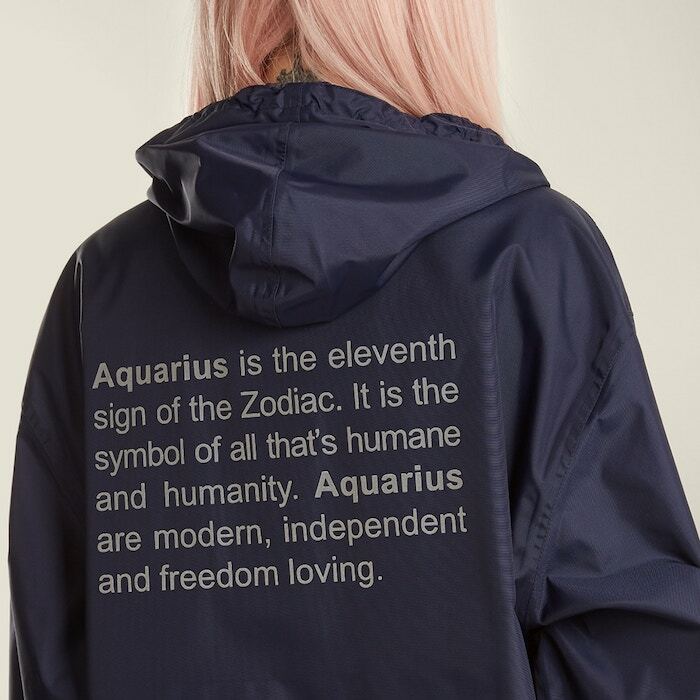 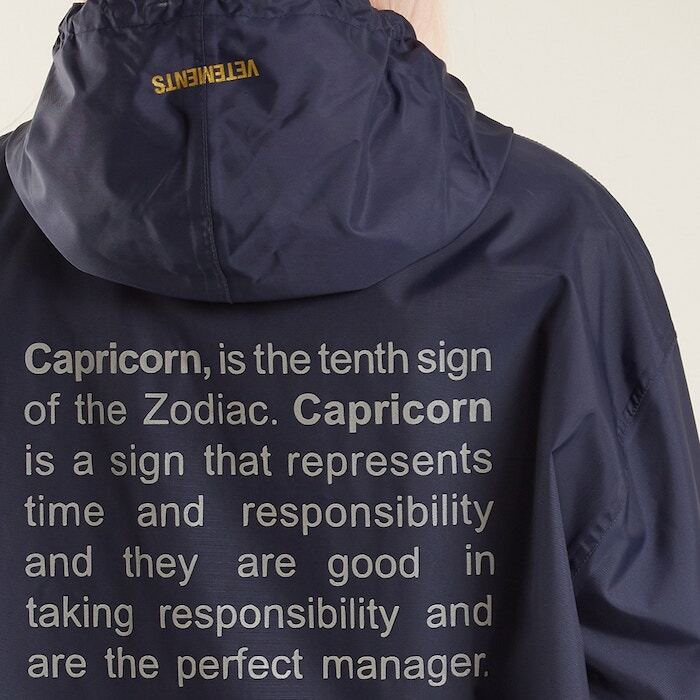 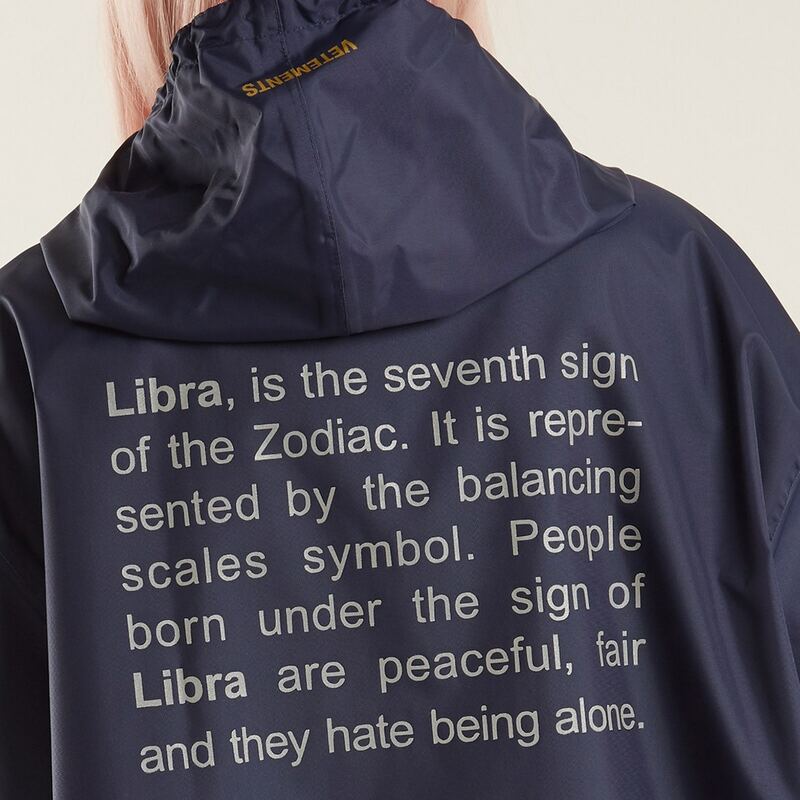 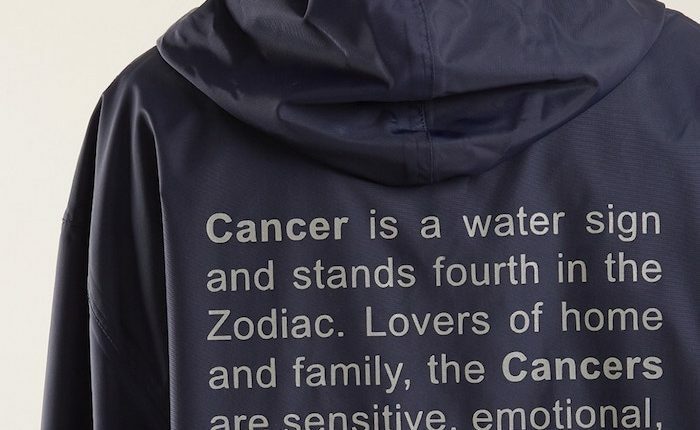 Exclusive to Matches Fashion, Vetements has launched twelve new raincoat designs inspired by the zodiac signs. 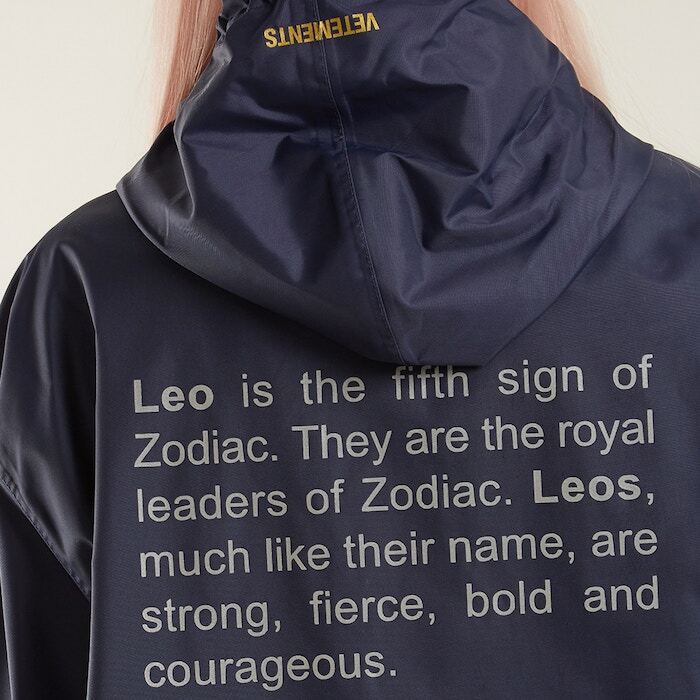 The new rain gear is constructed with a coated fabric in navy blue, and come rain or shine they look awesome. 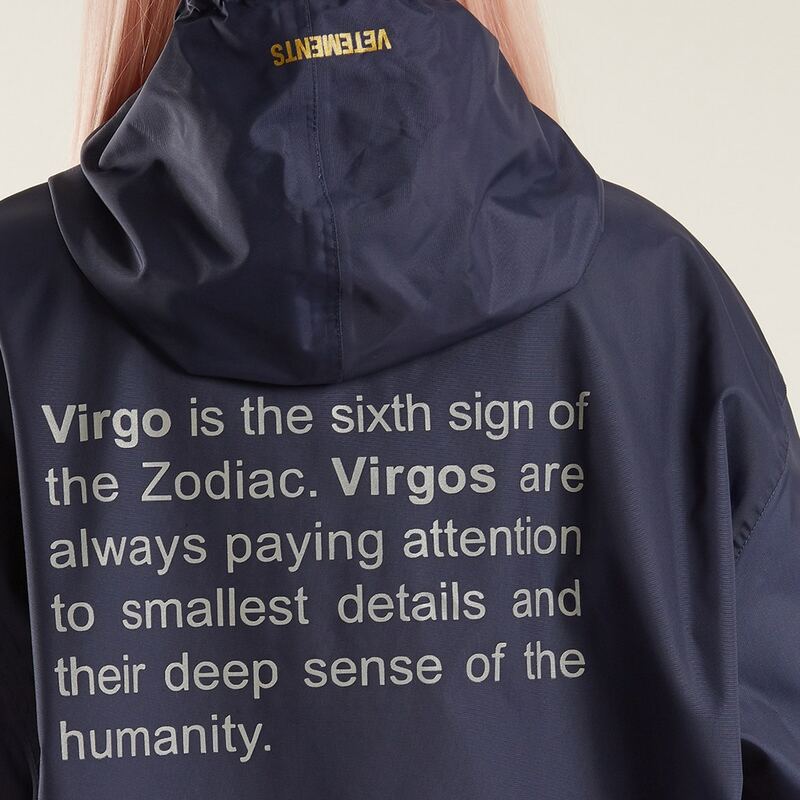 On the jackets’ front lapel, you’ll find an embroidered patch of your zodiac’s symbol and Vetement’s signature brand is stamped on the hood in metallic gold. 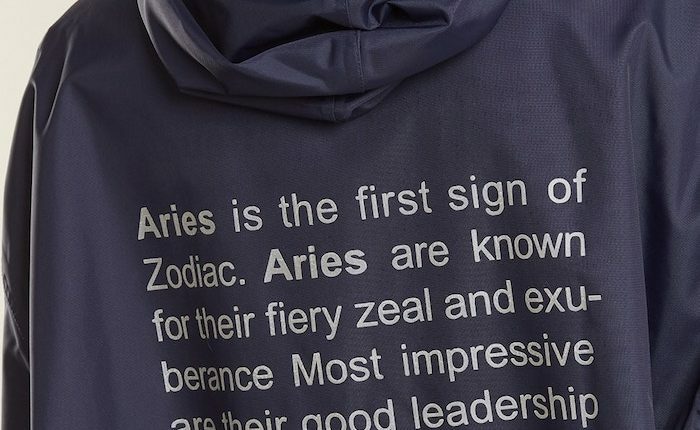 Vetements has also launched a range of tees for each sign of the zodiac, a crewneck t-shirt in black with different colour detailing depending on astrological sign. 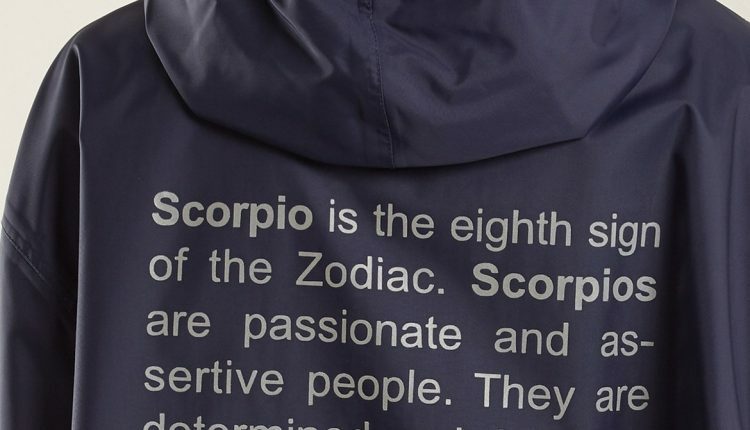 On the back, you’ll find a brief description of the character traits associated with each sign. 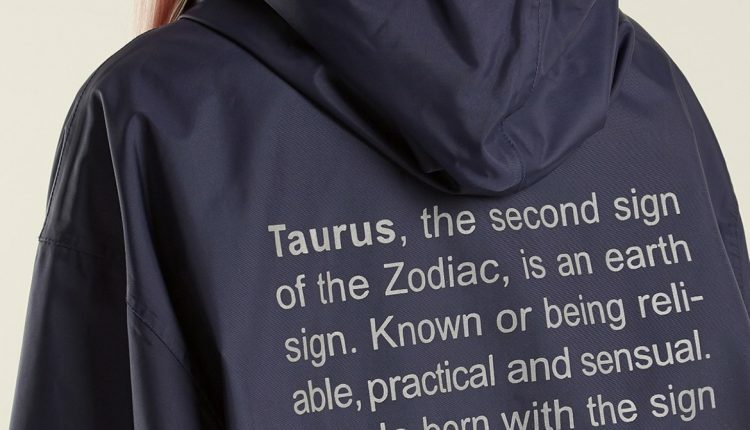 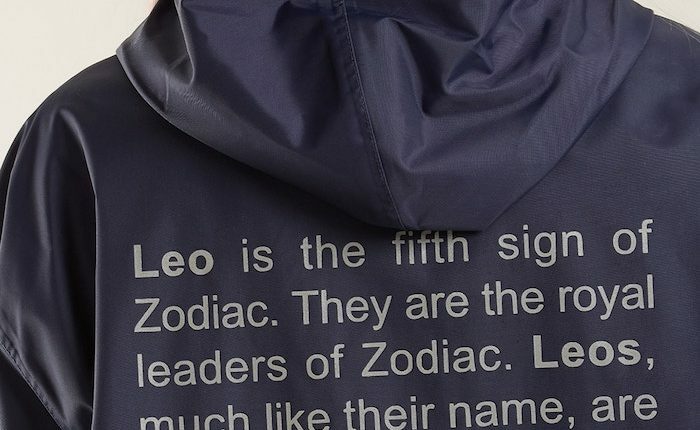 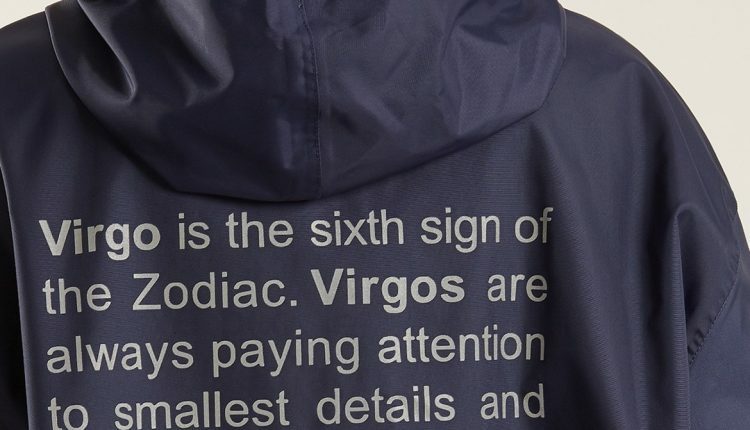 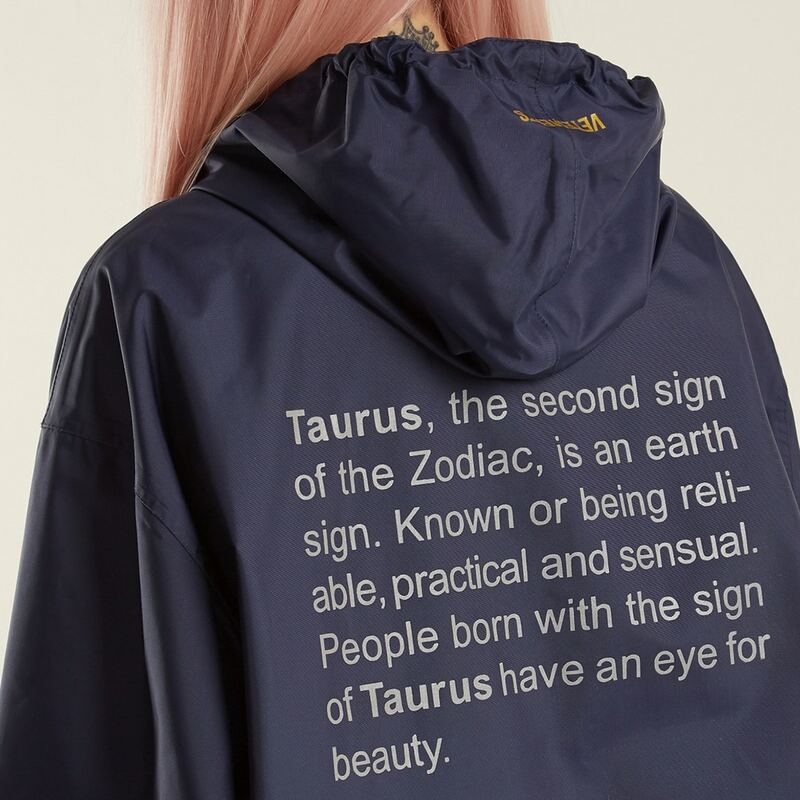 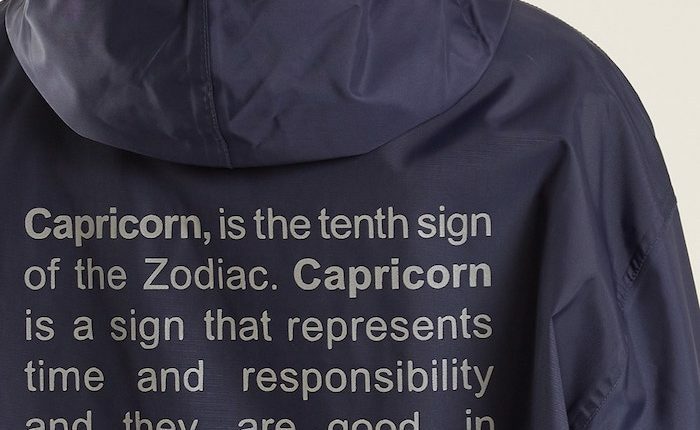 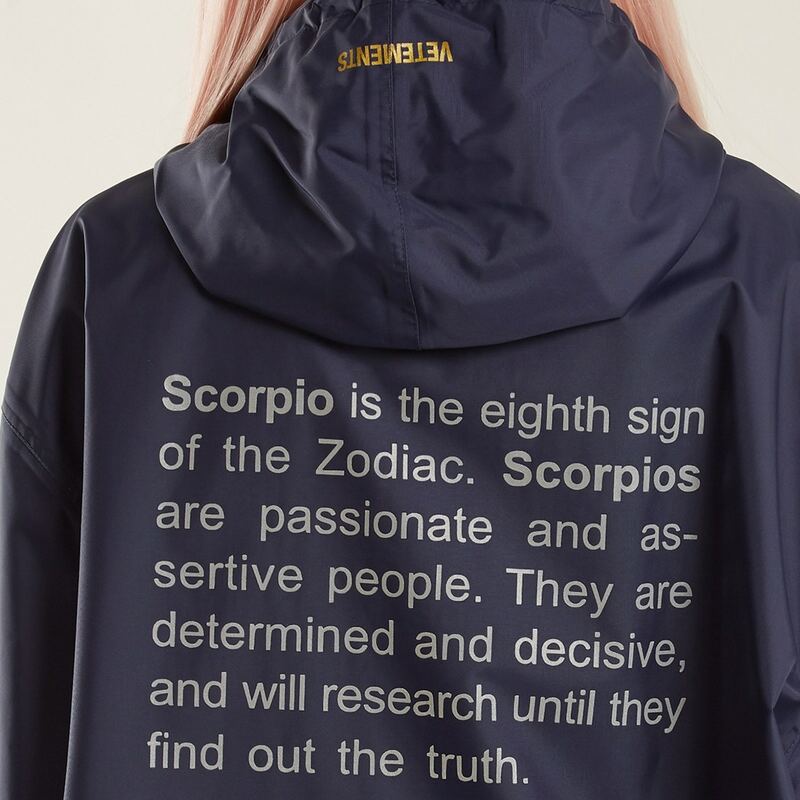 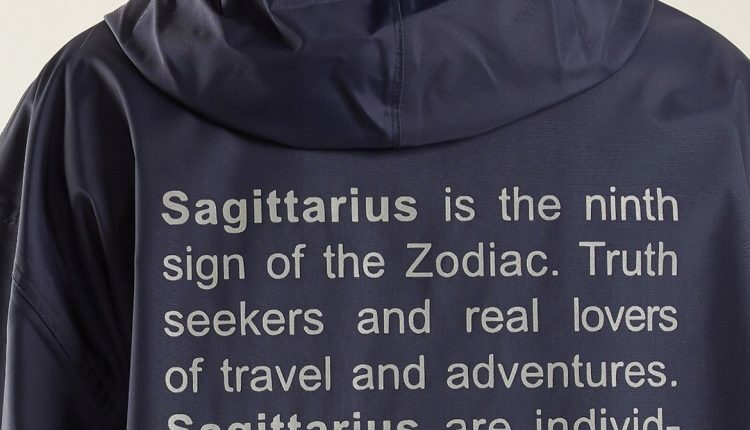 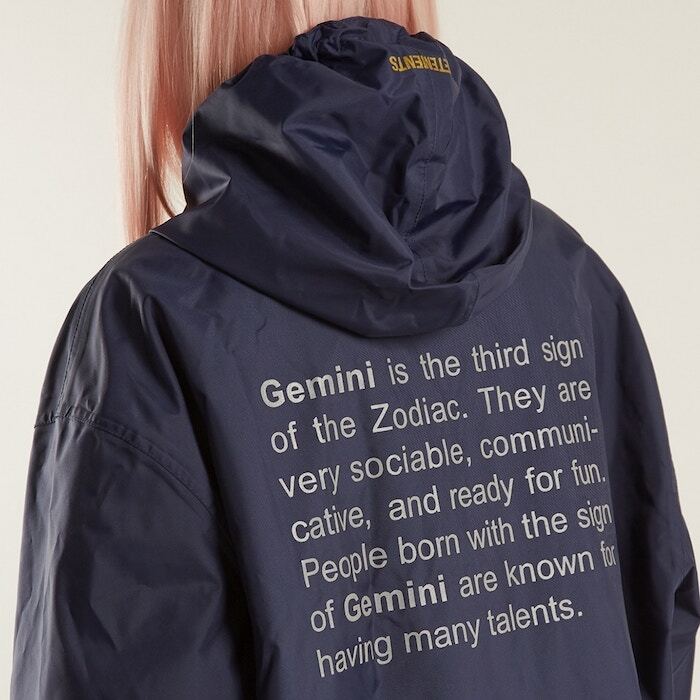 As with the raincoats, the tees are emblazoned with descriptions of each zodiac sign on the back, as well as its symbol appearing on the front, left area on the chest. 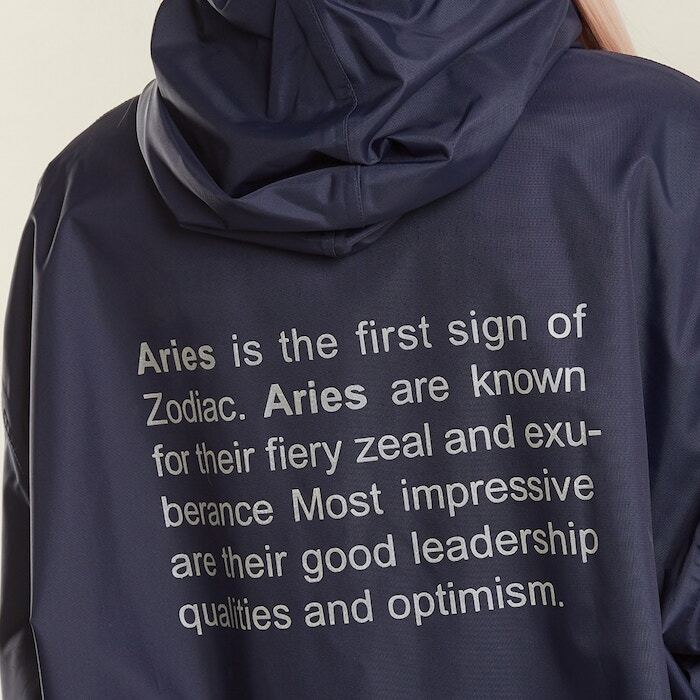 Each boxy tee is constructed with an oversized shape with elongated sleeves.